People followed by whats live? 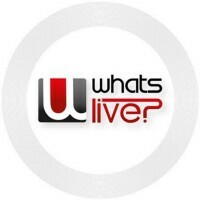 Promote, watch and enjoy live stream's with #whatislive - your live stream magazine. Every #livestream is worth to be seen. Start today - because LIVE is now! VP Sales @Vilynxapp where we automatically append real time relevant metadata to video using Machine Learning! Drone advocate, live stream producer/consultant, film festival founder, happy Californian. I'm your official source to the fabulous world of #HUGOBOSS providing you with all the inside information and the latest gossip. Co-Host of YourVoice™ America w/ @mitchellvii. Italian-American. Lover of good music & travel!